Most people are at least vaguely aware of the need to use a VPN to conquer the “great firewall of China” – the firewall that blocks many popular social media sites, as well as Google and other search engines. However, before coming to China, many are unaware as to what extent the firewall actually affects daily life. 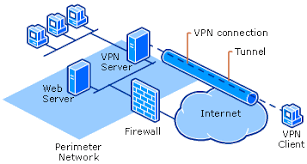 The only way you can access social media, such as Facebook and Instagram, as well as any Google service (including Gmail) or popular streaming sites such as Netflix, is by using a VPN (Virtual Private Network) to privatize your connection. Bottom line is: If you’re coming to China, you need a VPN. There are a great variety of both paid and free VPNs for China out there, and downloading one before you get here is definitely one of the top things to be aware of before you get to China. But what happens if you didn’t download one before you left for China? Or what if you’ve bought a new phone in China and need to get a VPN on it? It may not be the easiest process, but there is no need for fear! 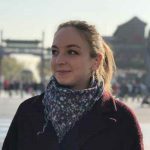 There are a few options you can exhaust to help you bypass the firewall in China before you give up and take a weekend break out of the country. 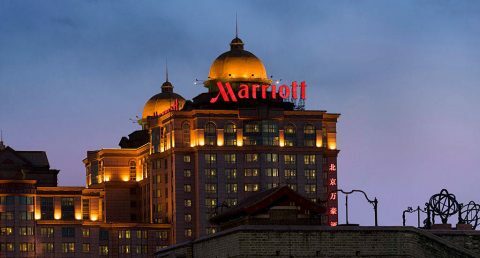 To the surprise of most, many popular luxury hotel chains in major cities in China offer WiFi that has a built-in VPN. Head over to the nearest one, grab yourself a tea or coffee in the lobby and enjoy the WiFi. From here, head over to the app store and download either a free or paid VPN. If you’re just in China for a short time, there are many paid VPNs that also offer free trials. If you’re still using/have access to a sim card from your home country that is set up with roaming, you will be able to access everything that your network provider usually lets you anywhere else in the world. Get onto your app store and download a VPN. Once it is on your phone, you will be able to use it with whatever sim card you’re using. When you change to a Chinese Sim Card, you will need to turn on the VPN when you want to have a scroll through your newsfeed on Facebook in China. An APK is a type of file that can be put onto smartphones. If you cannot access your app store (for example if you’re using Google Play) and have not found success with the first two methods, then you can try to find an APK online by using a friend’s VPN on a computer. Once you have the file on the computer, you can transfer this to your phone and get it working from there. Alternatively, you can ask around your expat friends if they perhaps have access to any VPN APKs that they can either send you via Bluetooth or WeChat. You could also get a friend from home to send you an email with a file in it. However, you’d have to be using an email that isn’t blocked by the firewall, so not Gmail, but Outlook would suffice for example. If all else fails, and you’ve spent weeks disconnected from the outside world, frustrated about not being able to bypass the Great Firewall of China we have another idea. 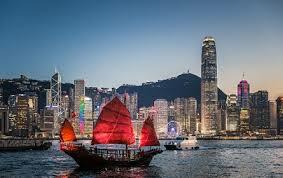 A weekend trip to Hong Kong on the border to mainland China’s Guangdong province. Let’s be honest, there are far worse places to spend your time. If you don’t want to leave mainland China, Special Economic Zone Shenzhen (bordering Hong Kong) often picks up signal from its neighbour. If not, it has generally more relaxed rules regarding the Internet due to the amount of foreign commerce that takes place in this cosmopolitan city. So, you might be lucky here, but don’t hinge all hopes on this. Got any more tips for those in need of a social media binge?